John Raytek’s story is one of quiet and individual perseverance – a humble and focused pursuit in the artistry of place. 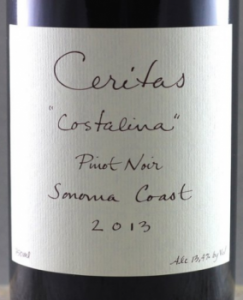 For John, this plays out as Ceritas, a tireless and exacting engagement with Pinot Noir and Chardonnay. After a decade as sommelier, beginning at The Inn at Little Washington, and a winemaking stint in New Zealand, John began this endeavor in the cellars of Flowers, Copain, and Rhys. While launching Rhys, John collaborated in the development of two estate vineyards, Alpine and Home. 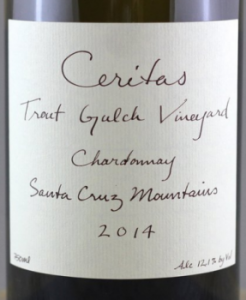 In 2005, with a vision for a comprehensive review of Northern California’s dry-farmed and old-vine Chardonnay, John and his wife, Phoebe, began Ceritas. Ceritas began, naturally, in the vineyard upon which Phoebe grew up. Some eight miles from the Pacific, near Guernville, and shrouded beneath the fog line among redwood forest, Porter-Bass is a benchmark Sonoma Coast vineyard hidden in plain sight. A century old, and originally planted to Zinfandel and Palomino, this vineyard site drew Sue and Dirck Bass westward in 1980. There Phoebe’s parents began the restoration of the eroded property, largely replanting it to Old Wente Chardonnay, with the unwavering guidance of organic and biodynamic principles. This firsthand account of the restorative and symbiotic nature of responsible agriculture followed Phoebe through her education in Environmental Sciences, and continues to inform Ceritas’s vineyard practices. Without an estate vineyard of their own, John and Phoebe are privileged to farm Chardonnay and Pinot Noir across three distinctively marginal climates and geologies: the Santa Cruz Mountains, the West Sonoma Coast, and the Anderson Valley. They are active participants in the daily cultivation of these sites, and in many cases they are the sole recipients of this prized fruit. Trout Gulch Vineyard is located near the town of Aptos just south of Santa Cruz. Located at 750 feet in elevation, some 3.5 miles from the Pacific Ocean, Trout Gulch was planted to Old Wente on sandy loam nearly 40 years ago. It is organically farmed by Richard Alfaro. Resting at 1,800 feet, above the town of Saratoga, lays Peter Martin Ray vineyard, Ceritas’s highest site. One of two sites the Rayteks farm in the Santa Cruz mountains, this vineyard is steeped in history dating back to 1943, when stockbroker-turned-winemaker Martin Ray planted the original Chardonnay vines. When Martin Ray’s son, Peter Martin Ray, took over the farming of this site, he replanted to the Mt. Eden clone of Chardonnay in the early 1980s. Dry-farmed with minimal manmade input, the vines are constantly seeking water, nutrients and sustenance from deep in the hillside. Located in ‘The Deep End’ of the Anderson Valley, at the far-northwestern edge of the appellation, closest to the Pacific coast, Hacienda Secoya is named for the surrounding redwood forest. This southwest-facing vineyard sits on an elevated bench just above the valley ﬂoor, a stone’s throw from the town of Navarro. 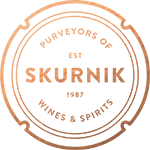 The vines were planted in 1995 to the Pommard clone in soils that are volcanic in origin and sandstone-based, with a red hue revealing the greater than average iron content. Farmed organically since it was planted, Hacienda Secoya is a monopole for Ceritas. Just east of Hirsch Vineyards is Hellenthal Vineyard, planted in 1980 by owners Gard and Lori Hellenthal in conjunction with David Hirsch. Hellenthal’s “Old Shop Block” is one of the oldest own-rooted plantings of Pinot Noir in the Sonoma Coast. Located about 200 feet from Elliott Vineyard, this site is a unique expression of Pinot Noir: dry-farmed, own-rooted Calera, resting on soils of sandstone in various stages of decomposition. As the sole winery sourcing fruit from this block, Ceritas can claim ‘Old Shop’ as a monopole.